Home › Makeup Tips › What Is Mineral Makeup? Mineral makeup is the latest thing and it’s based on the oldest things. As an all-natural makeup, these mineral-containing makeups are being touted as something that can actually help your skin. There are many cosmetic companies marketing mineral makeups by different names, but all versions of mineral makeup have a common ingredient. They all contain “natural” minerals. Mineral makeup is designed from all naturally occurring products. It is often recommended by dermatologists to women with sensitive skin, rosacea, post operative, laser and other procedures because of its intrinsic skin soothing and anti-inflammatory properties. 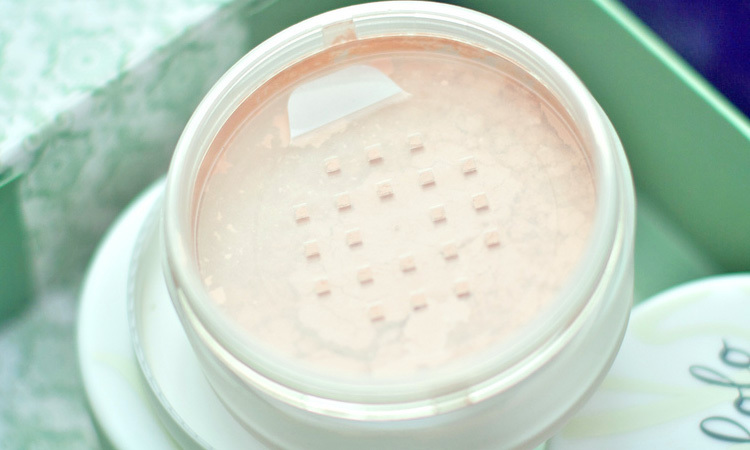 It is a powder makeup of finely milled minerals. It can provide very sheer or very opaque coverage, depending on the formulation and application. However, it still allows natural skin radiance to show through, so you don’t get the dreaded mask look. It is typically free of fragrance and preservatives. Minerals cannot feed bacteria, so there is no danger of spoilage, thus it needs no preservatives. It does not go bad. It is very good for oily skin because it has several oil- absorbing components. It is usually applied with a brush, and is typically shown to be buffed into the skin. This technique forces the makeup into your pores, which is never a good thing. A technique that works with better quality mineral makeup (which we’ll discuss later) is to dust the makeup on, instead of buffing it. If a brush irritates your skin, you can also use a non-latex or flocked sponge. Application can be done either wet or dry. Titanium Dioxide- A white natural sunscreen and anti-inflammatory agent. It is highly reflect, with only a diamond being higher, and thus minimizes fine lines and some skin discolorations. Zinc Oxide – A natural sunscreen providing broad spectrum UVA/UVB protection. Sericite – A colorless mica that can be used to cut the opacity of Titanium Dioxide and also works as an oil absorber. Cornstarch/ Rice Powder – Cosmetic grade- An oil humectant (draws oil out of the pores). Can make acne worse as it is a source of food for bacteria. Kaolin Clay – Natural oil-absorption. Mica – Natural glitter. Provides shimmer and sparkle. Iron Oxides – Natural pigment- very opaque. Used for tinting cosmetics. Talc/ Various Powders – Common fillers- can cause respiratory problems. FD&C Dyes – Derived from coal tar. Bismuth Oxychloride – Known skin irritant- causes itching, rashes and breakouts. Especially prevalent when the wearer sweats. Ferric Ferrocyanide – Controversial because of its suspected toxicity. What Is Mineral Makeup? Reviewed by FashionPole on October 19, 2016 .